The skull is composed of 22 bones, 14 in the face alone. This bony structure acts as a support and protection for the softer tissues within. The facial skeleton is composed of the mandible, the maxilla, and the nasal, palatine, lacrimal, and vomer bones. The unpaired mandible forms the lower jaw. The maxilla is an irregular bone and forms the upper jaw on each side. The nasal bones form the bridge of the nose. The other bones are not relevant to this discussion. The main bones of the cranial skeleton include the frontal, temporal, parietal, and occipital bones. The frontal bones form the forehead. The temporal bones form the anterolateral walls of the brain. The mastoid process, which is part of the temporal bone, is particularly important in ear disease and is discussed in Chapter 11, The Ear and Nose. The parietal bones form the top and posterolateral portions of the skull. The occipital bones form the posterior portion of the skull. The bones of the face and skull are shown in Figure 9-1. The principal muscle of the mouth is the orbicularis oris. This single muscle surrounds the lips, and numerous other facial muscles insert into it. The action of the orbicularis oris is to close the lips. The orbicularis oculi muscle surrounds the eye. Its function is to close the eyelids. This muscle and its action are further discussed in Chapter 10, The Eye. The platysma is a thin, superficial muscle of the neck, crossing the outer border of the mandible and extending over the lower anterior portion of the face. The main action of the platysma is to pull the mandible downward and backward, which results in a mournful facial expression. Figure 9-1 Bones of the face and skull. 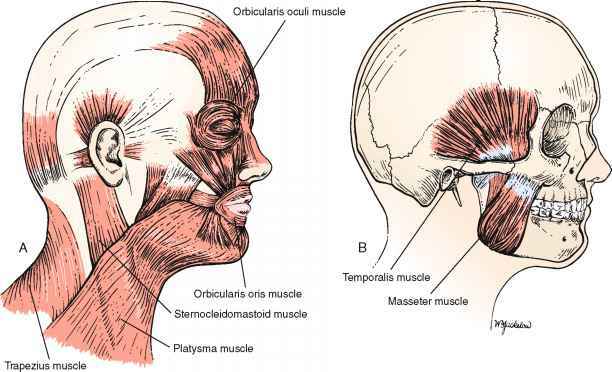 Figure 9-2 Muscles of the face and skull. A, The more superficial muscles. B, The underlying muscles. The muscles of mastication include the masseter, pterygoid, and temporalis. These muscles insert on the mandible and effect chewing. The masseter is strong and thick and is one of the most powerful muscles of the face. The action of the masseter is to close the jaw by elevating and drawing the mandible backward. Tension in the masseter may be felt by clenching the jaw. Although important to jaw function, the other muscles of mastication are not clinically relevant to physical diagnosis and are not discussed here. The locations of these muscles are shown in Figure 9-2. The trigeminal, or fifth cranial, nerve carries sensory fibers from the face, oral cavity, and teeth and carries efferent motor fibers to the muscles of mastication. 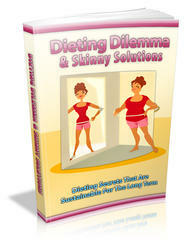 The major divisions of this nerve are discussed in subsequent chapters.